During a churchservice on July 16, the Protestant Church Bierum-Holwierde-Krewerd officially ended its action year for SINTAN IP. From August 2016 onwards many activities were organised in support of our foundation. Like the sale of flowerbulbs in the autumn and the baking of “oliebollen”(kind of doughnuts) on New Year’s Eve by the youth. The whole church community has contributed on Sundays during churchservices throughout the year. 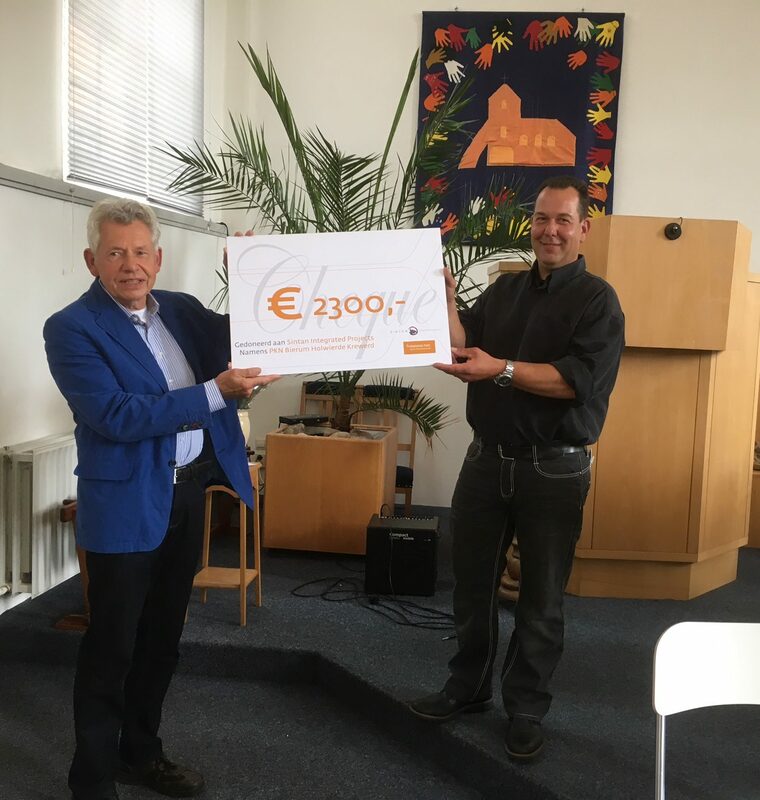 Our chairperson Hans van Luijk was presented with a cheque of € 2300,- by the representative of the Diaconate of the church Hiepko Boerma. We are very grateful for the wonderful result and regard the commitment of the Protestants Church as a huge support for our future activities in Tanzania.